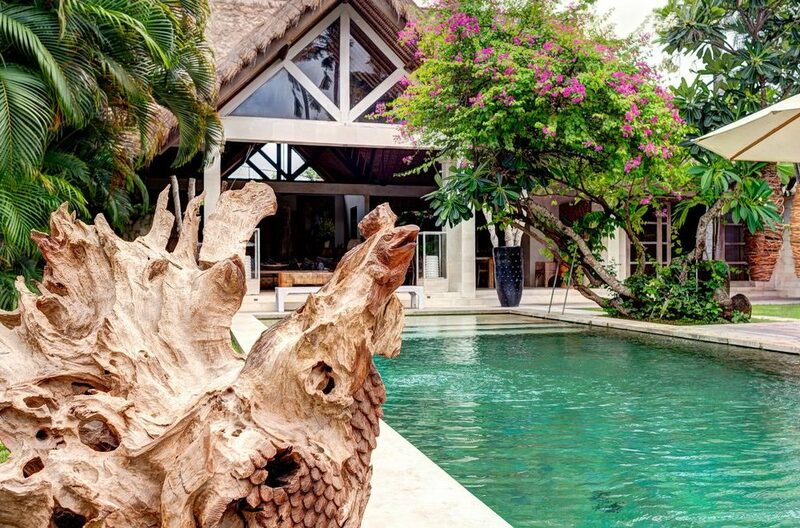 The tropical garden, dotted with frangipani and dappled by palms provides a sanctuary of both sun and shade. 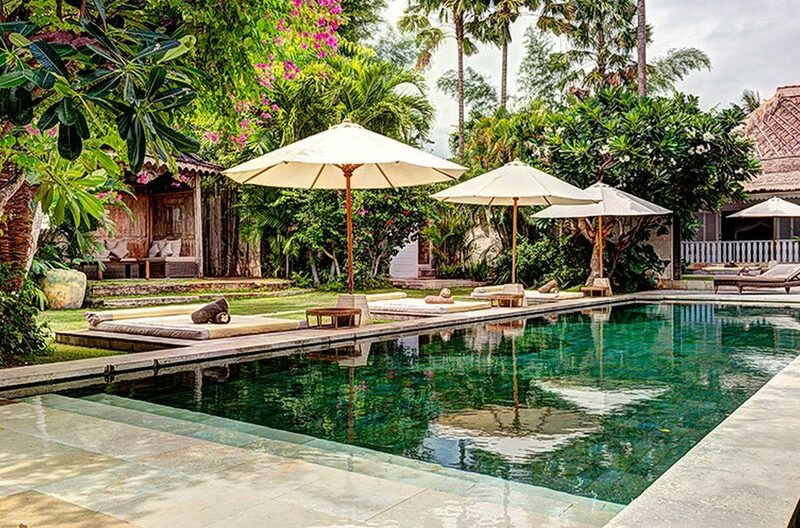 Here, find the gorgeous, refreshing waters of a private swimming pool which provides the perfect place to cool off in the heat of the day. 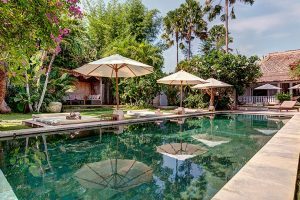 Beside the pool are two luxurious loungers and a secluded gazebo tucked away in a pocket of greenery for those long leisurely afternoons where the most you have to do is turn the pages of the latest bestseller. 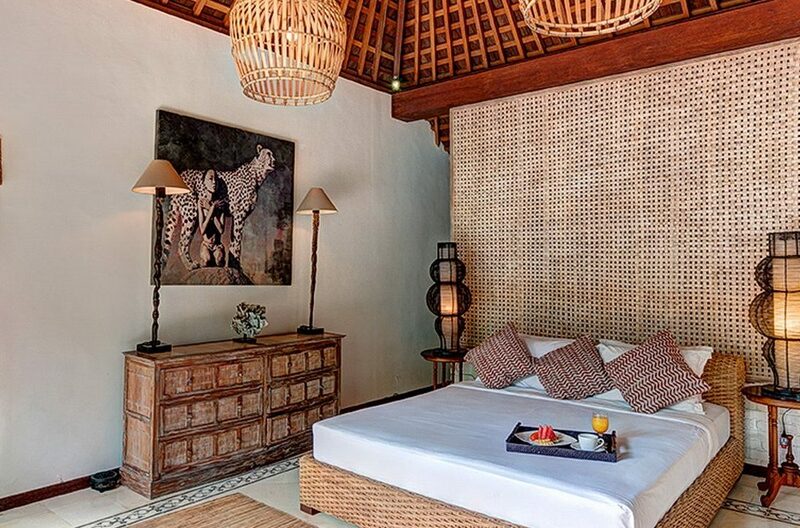 The villa is split between two beautiful bungalows. 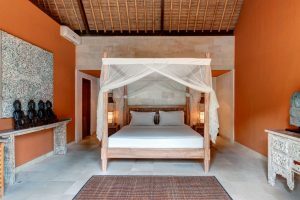 The main building contains the lovely integrated living accommodation which is open to the breath-taking outdoors along one side providing uninterrupted views over the pool. This contains a well-designed, fully fitted kitchen, a variety of comfortable, carefully crafted seating and a distinguished dining table perfect for sampling delights cooked for you by the chef. 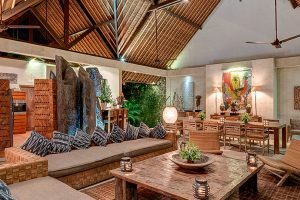 Wi-Fi is provided throughout. 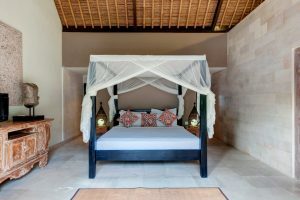 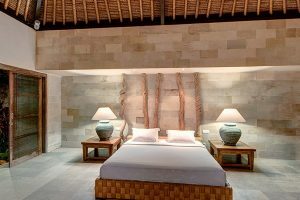 The bedrooms are all spacious with high alang alang roofs, are fully air-conditioned and have striking, luxurious ensuite bathrooms. These are decorated using beautiful, natural tones blended with rich textures and prudently chosen pieces of ethnic art. 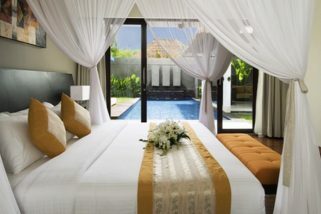 The main building contains two master suites with king size beds opulently dressed in top quality linens. 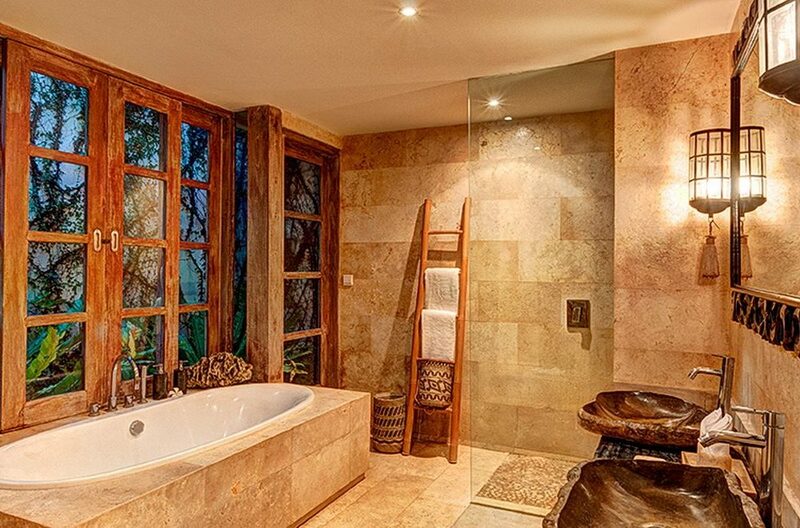 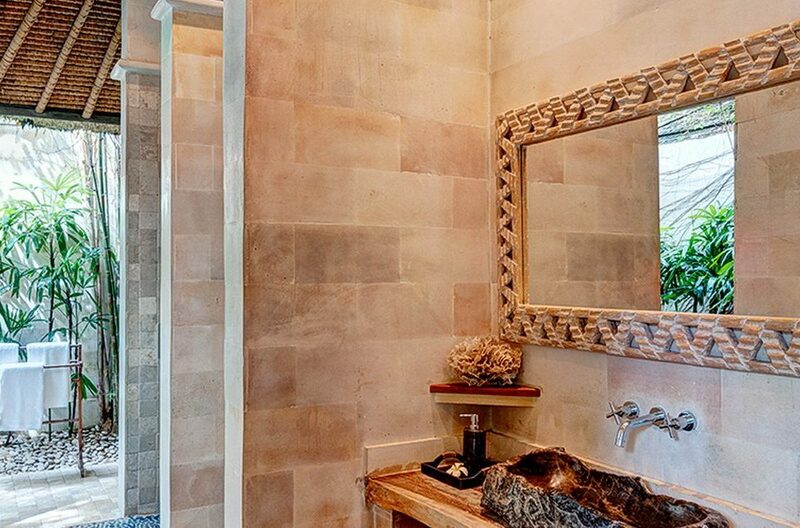 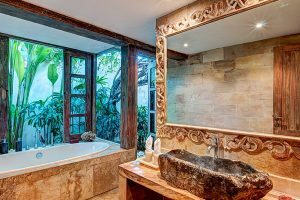 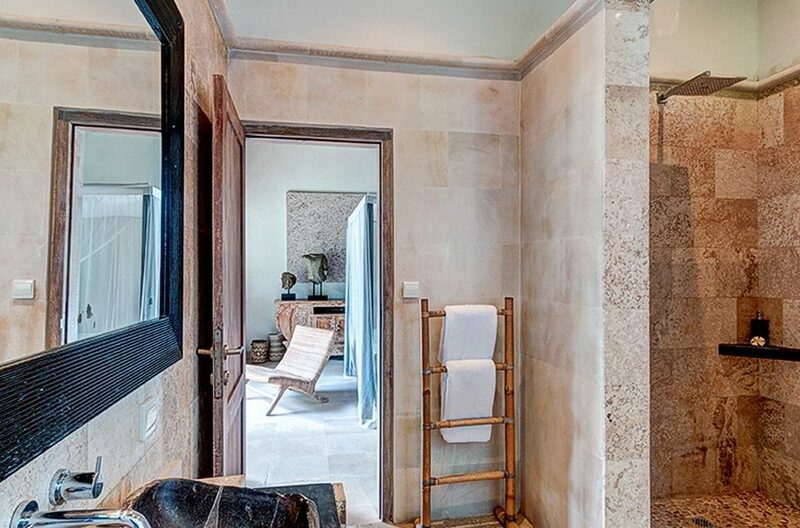 These both have a bath tub and a shower in their exotic ensuites and have large patio doors which open up to the incredible outdoors. 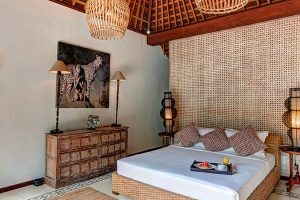 The guest bungalow is a self-contained unit with 2 queen size bedrooms both with an ensuite bathroom with a shower. 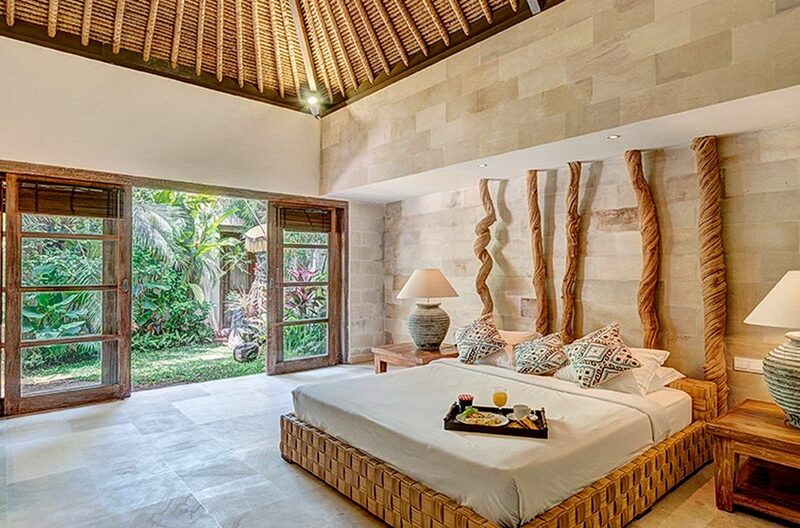 This potentially provides a perfect family suite. 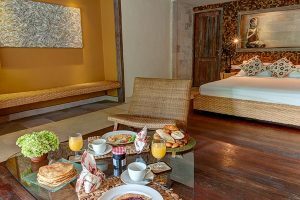 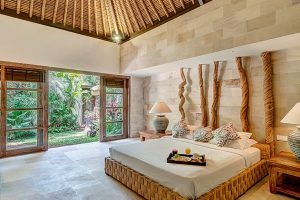 This attractive villa is staffed by a friendly and discreet team who will do everything they can to ensure you are well looked after during your stay. 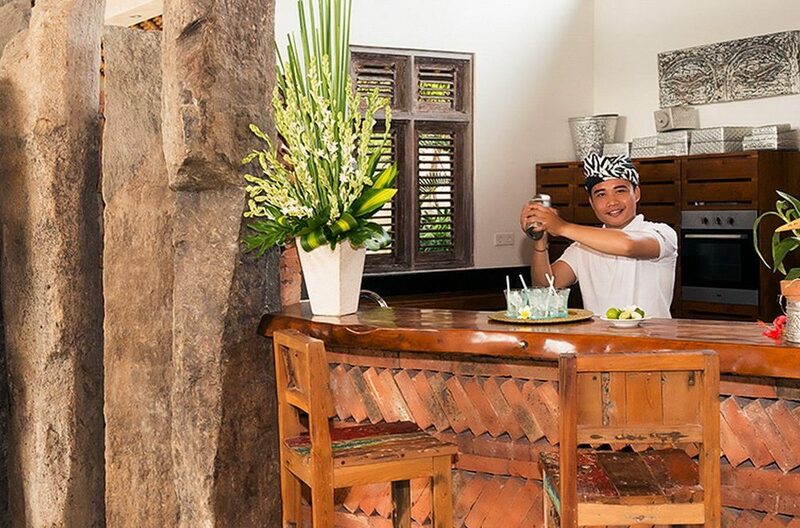 They include housekeeping, 2 cooks and a kitchen hand and 3 security guards. 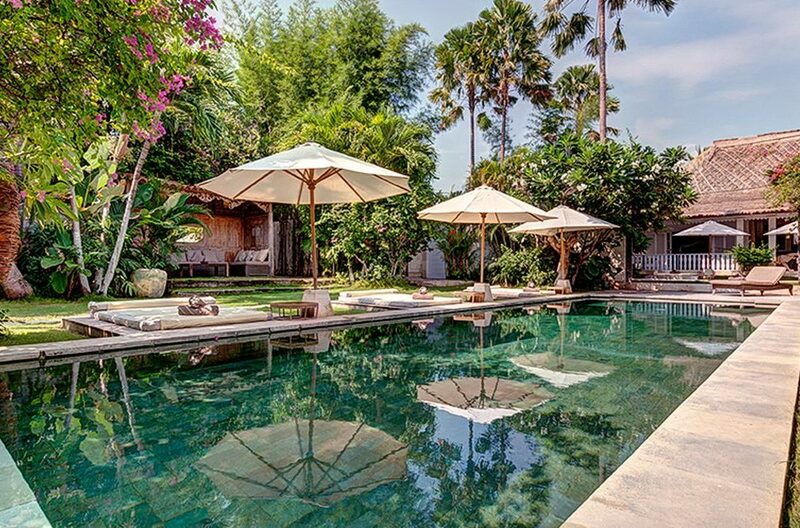 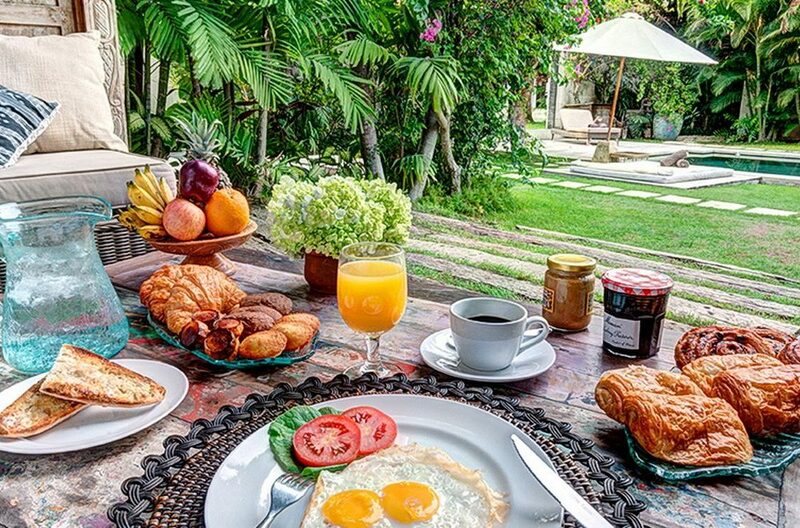 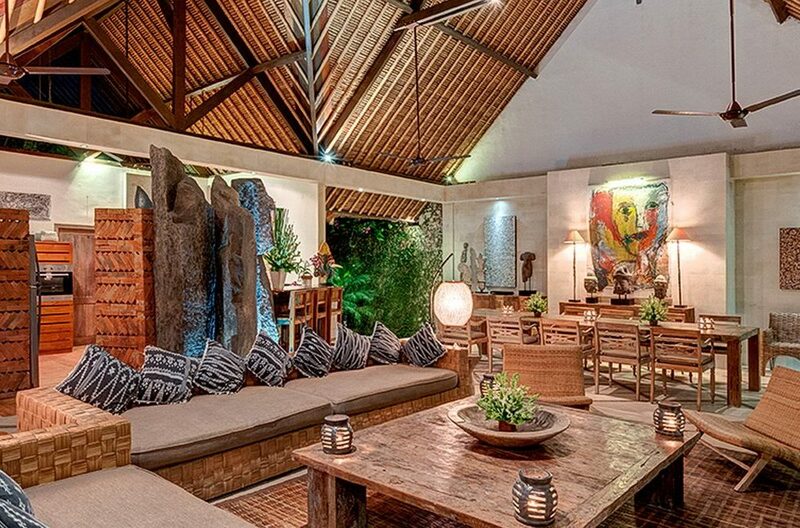 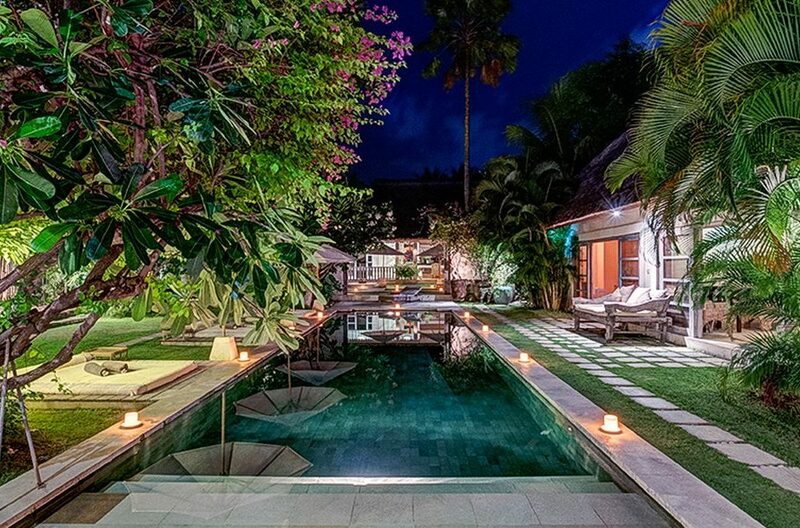 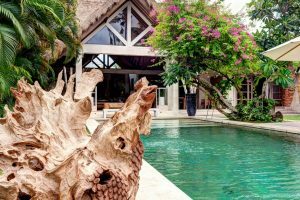 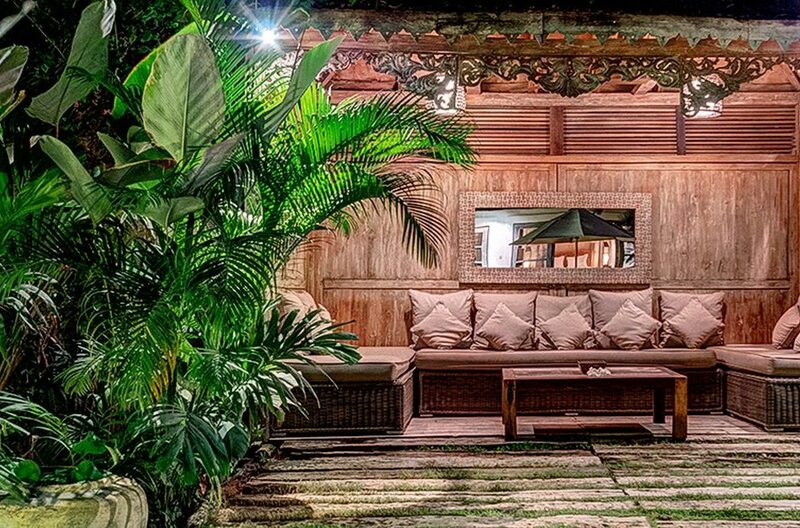 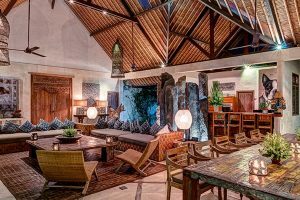 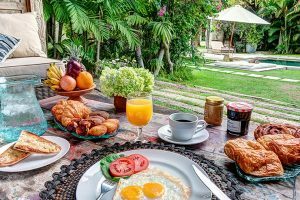 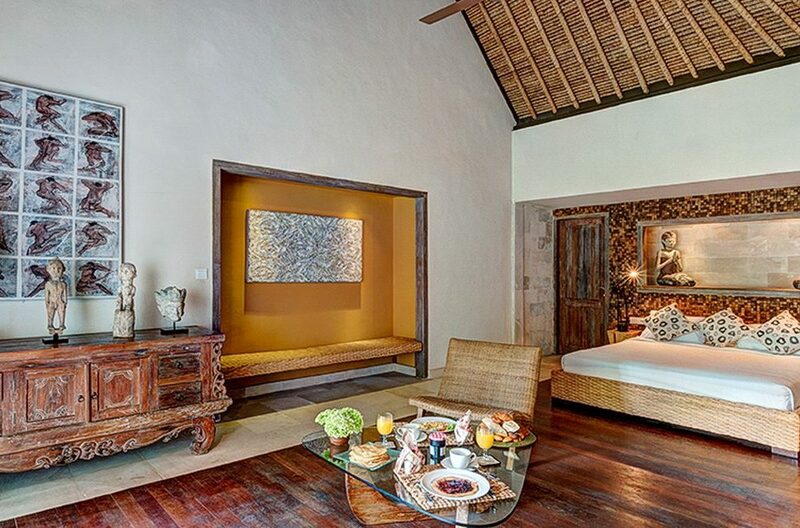 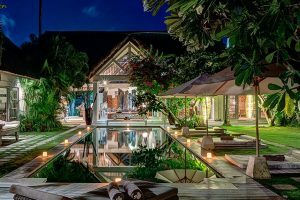 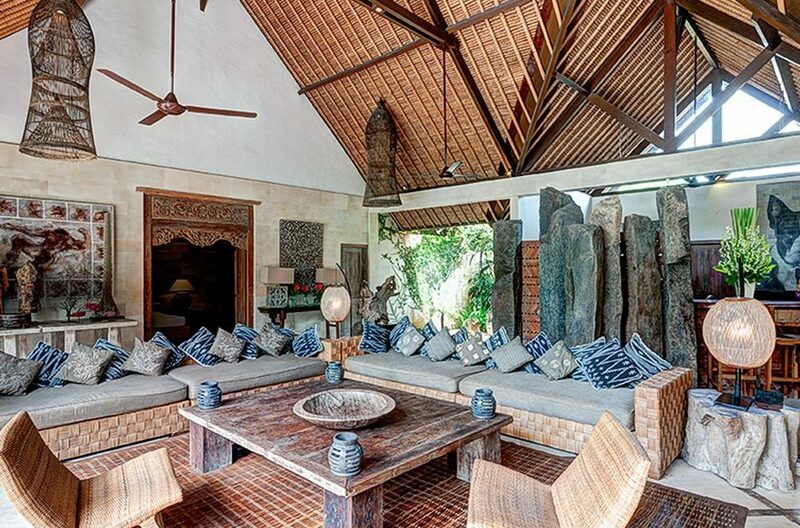 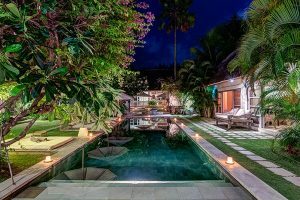 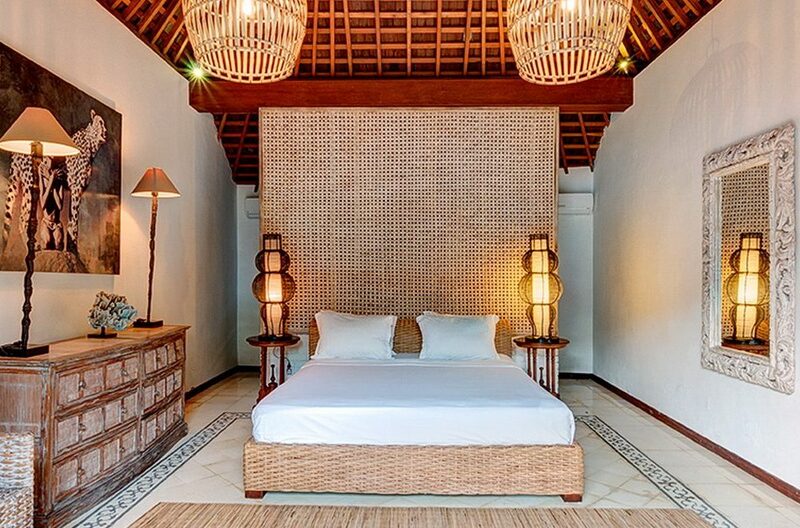 This property is within a 15 minute walk of Seminyak beach and the infamous Ku De Ta beach club as well as only a short distance to renowned fine dining establishments such as Metis and Le Sardine. 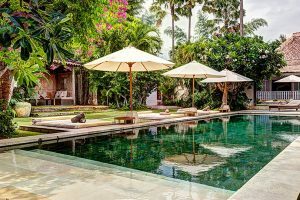 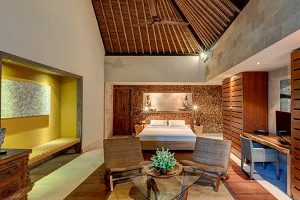 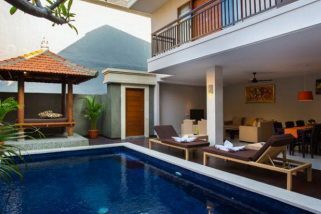 Villa Jerami and Spa is a stylishly designed holiday village in Seminyak with 1, 2 and 3 bedroom properties that offer all the benefits and security of a hotel but with the added luxury of your own private pool and extensive living quarters. 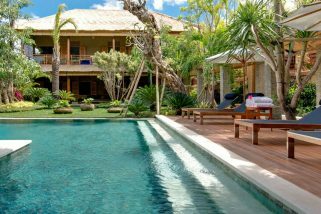 Villa Kinara is a 6 bedroom tropical wonder land and the perfect holiday escape for large families or groups of friends.